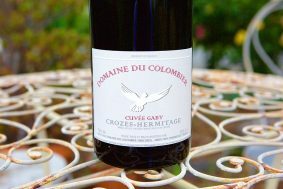 Inside the bottle: The charm meter is on high with this wine from the moment of takeoff. 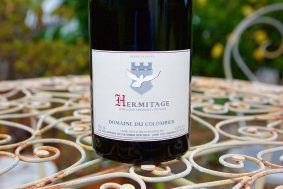 Fresh and sweet red fruits dance around the deeper, more powerful aspects which take a bit of time to be wrangle in. 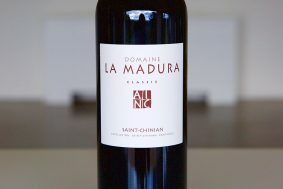 It is not every day that we can taste powerful red wines with citrus notes that subtly elevate the darker fruit and earth elements of the wine. 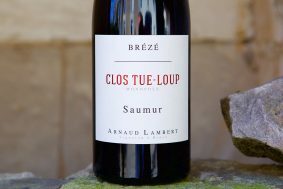 Les Trois Sources is the most fun-loving and generous cuvée of the bunch. 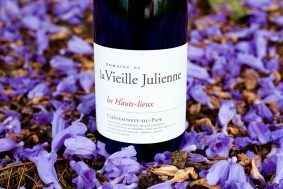 While tasting with other VJ wines from the same vintage, this wine constantly begs for your attention and it is hard not to give in. The 80+ year-old vines bring more serious depth to the wine which is hard to get to because the wine is far too easy to drink quickly, even on a 90 degree day! 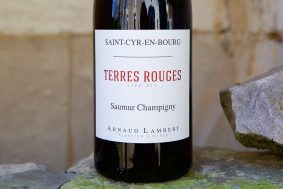 Terroir: Located on the north side of the Mont Redon plateau, this is made up of, well, you guessed it, three vineyards. 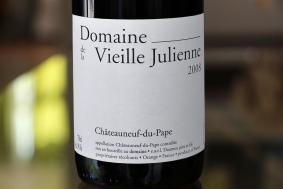 Unlike many estates in Chateauneuf-du-Pape that blend parcels from all over the appellation, these parcels are right next to each other. The soils are made of the same basic sand and calcium that come from this north face. 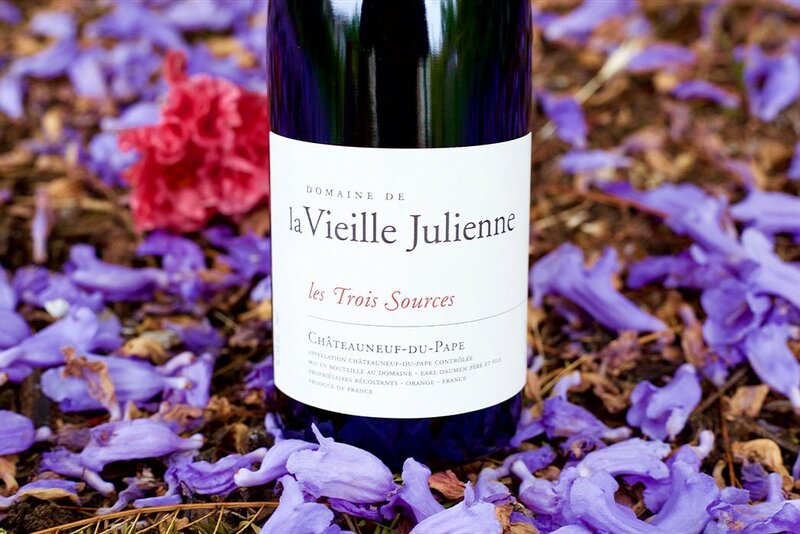 The name Trois Source not only implies that is comes from three vineyards, but from three vineyards that each have their own spring; in French, source, is the word for this. 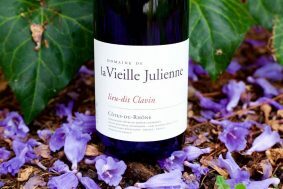 Given the nature of this aspect and the direct contact with the Mistral winds from the north, Vieille Julienne’s vineyards are able to find perfectly balanced ripeness with many layers of complexity. 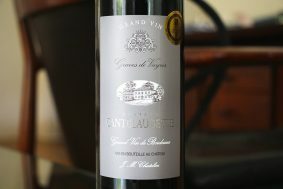 More: Rich, Medium Body Red wines similar to this one.